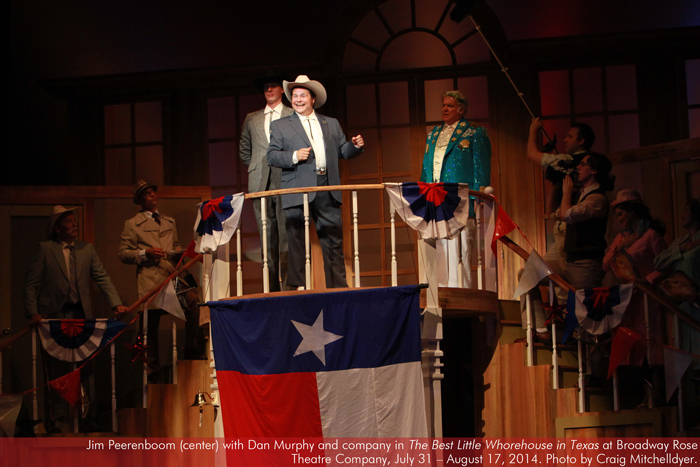 Based on true events, this happy-go-lucky tale of small town vice and political side-stepping recounts the heydays and the demise of the Chicken Ranch, notoriously one of Texas’ finest bordellos since the 1850s. 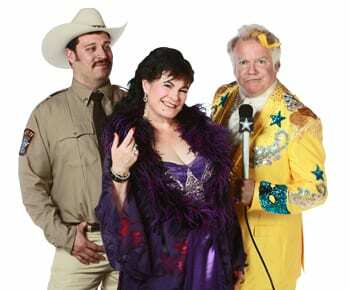 Politicians, townspeople, and even the local college football team frequent Miss Mona’s house of ill repute, but when puritanical consumer watchdog Melvin P. Thorpe turns his television cameras on the institution, the madam of the house finds herself fighting to preserve the ranch and protect her girls, while at the same time navigating a roller-coaster romance with town sheriff Ed Earl. 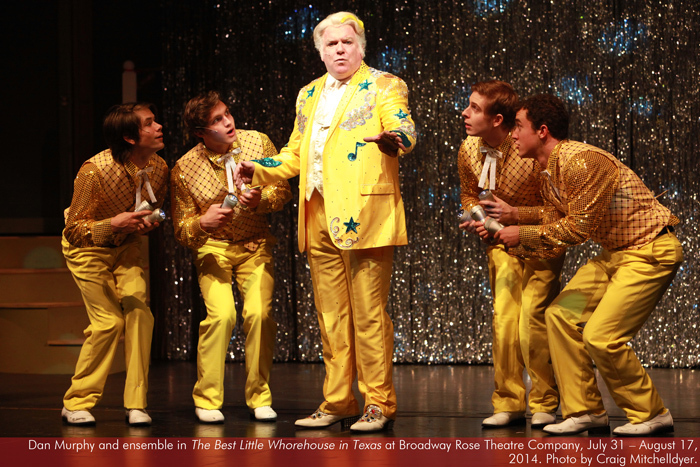 Performance run time is 2 hours and 30 minutes, including one 15-minute intermission. * Talk-backs are free and open to the public. 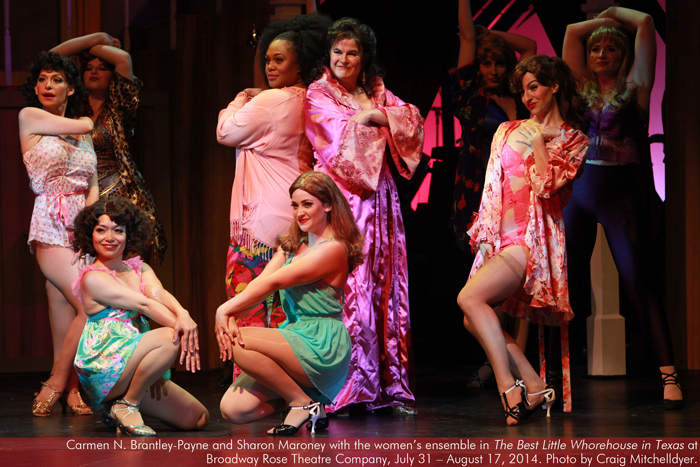 They begin immediately following the first Saturday matinee performance of the mainstage production, and are held in the theater. 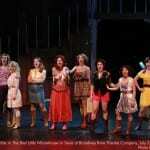 You do not have to attend the Broadway Rose production in order to attend the talk-back. 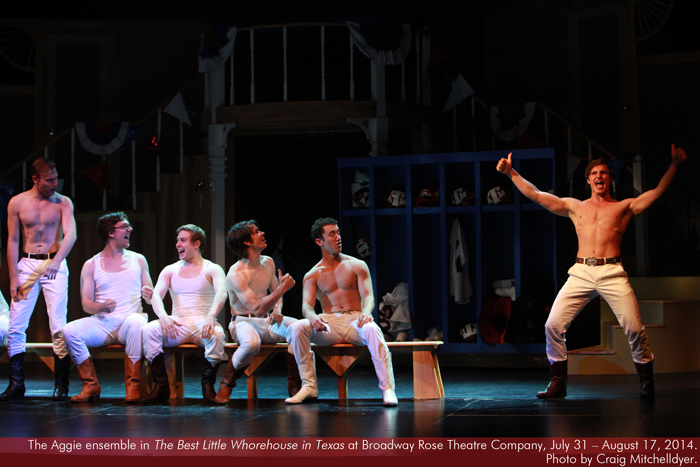 Choreographer Jacob Toth has outdone himself – the male dance ensemble is as strong as any we have seen on a Broadway Rose stage. 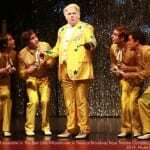 While a bit more mature than his fellow hoofers, Dan Murphy (playing Thorpe) kicks up his bootheels with the best of them, and adds his strong voice to the already powerful vocal group. 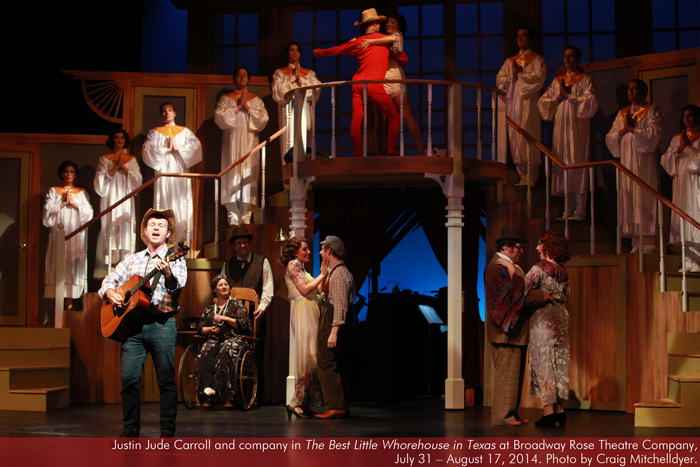 The distaff side, whether playing cheerleaders or prostitutes, is just as good – and the combination of these fillies and stallions more than justifies the price of admission to this spicy Broadway Rodeo…Read more. Toth’s dance sequences were astounding and worth one’s attendance at the show! 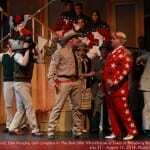 He had an amazing group of young men and women to work with as the chorus and it shows with the play’s most rousing scenes. 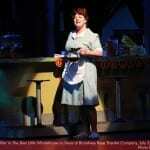 Bravo, chorus!…Read more. 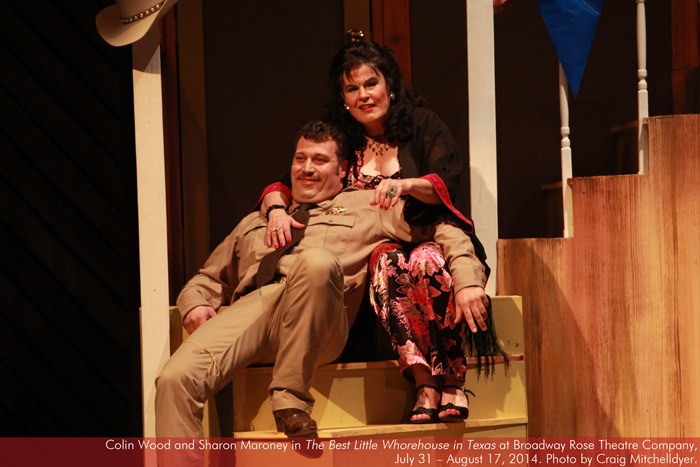 Whorehouse has a breezy, easygoing feel, like a lightly satiric comic strip: think Al Capp and Li’l Abner. The trick is to make the characters feel like types but also like real, individual people, and Taphorn’s cast manages that neatly…Read more. 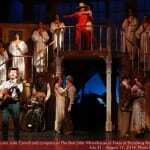 The singing is spot-on, even if some of the lyrics are hokey, and the acting is strong. As the teen mom-turned-prostitute Angel, Claire Rigsby shines with a Southern drawl and go-get-’em personality. 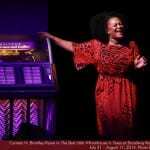 The choreography is wonderfully tight: It’s a delight to watch the sashaying women and tap-dancing football players...Read more. 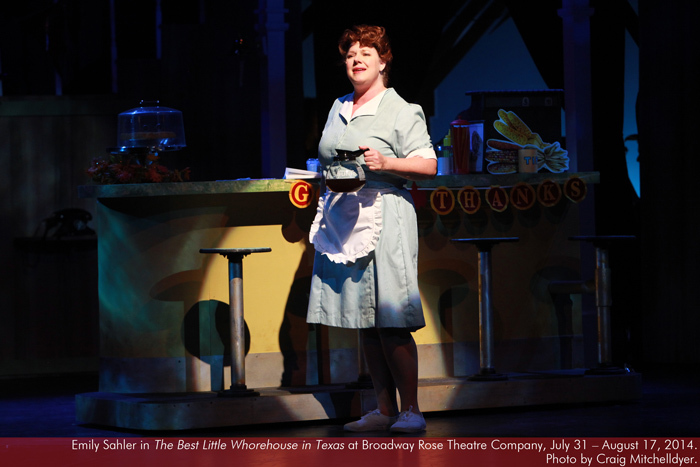 Broadway Rose and director Taphorn have put together one of the best ensembles I’ve seen. All ten of the girls who play the prostitutes are terrific singers and dancers; each finds a different hook or mannerism for her character, and while you might not learn all their names, you welcome them back each time they arrive; most also double as cheerleaders, reporters, townswomen, and other characters along the way, filling out the show’s many big numbers, and shining near the close of the show with the ballad “Hard Candy Christmas.” Likewise, those football players fill in as townspeople, customers of the Ranch, TV camerapeople, and just about anything else, and they sing in glorious harmony whenever asked…Read more. 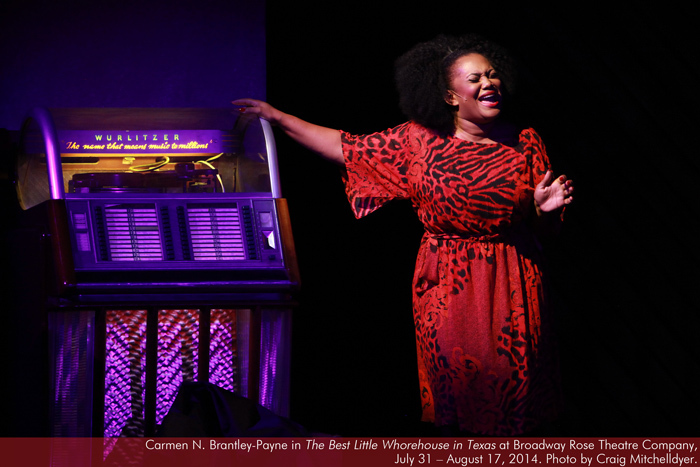 Brantley-Payne was cast in her first musical as an adult even though she has never had any formal voice training. “My entire family sings and performs,” she said. 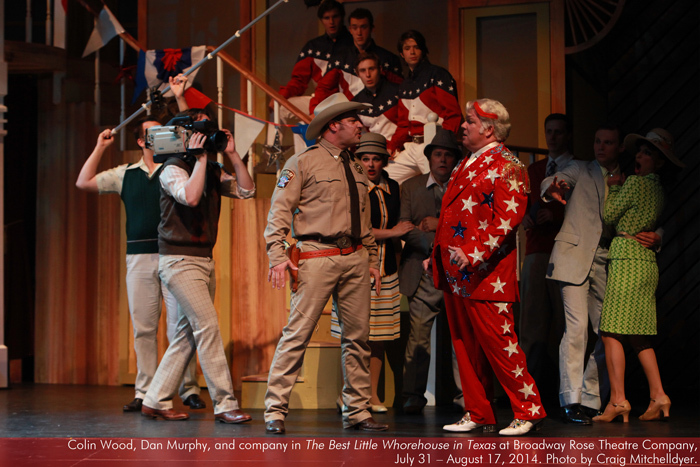 “That audition was what propelled me towards acting again…” Read more. 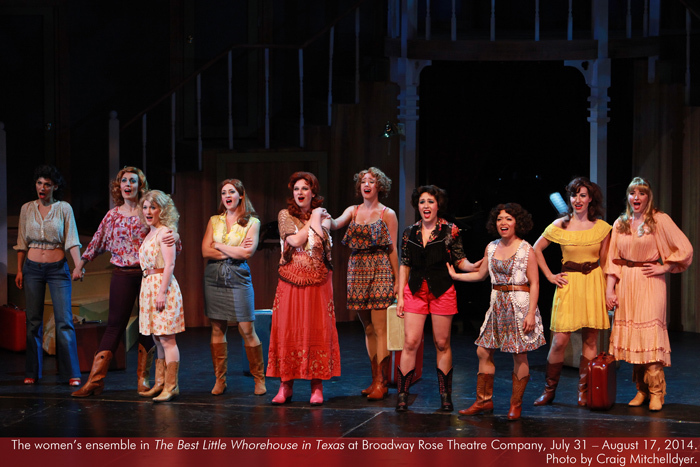 If your only memory of “The Best Little Whorehouse in Texas” is Dolly Parton’s plunging neckline, you should check out Broadway Rose Theatre Company’s stage version. 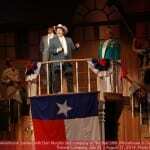 The original musical is way sassier and more spirited than the 1982 film with Burt Reynolds…read more.